ALL-SG8918PM is 16-port 10/100/1000M PoE + 2 Gigabit SFP/RJ45 Copper Combo Ports L2+ Full Managed Switch that is designed for small or medium network environment to strengthen its network connection. 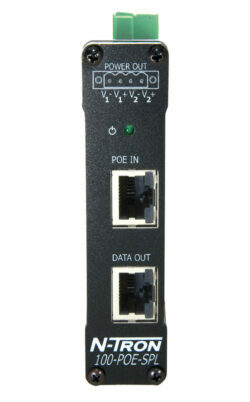 The 16 PoE ports support IEEE 802.3at/af PoE technology, up to 30W per port and maximum 100m transmission distance. The switch equipped with AC to DC power module to support 300W power budget for PoE power. The added 2 SFP/RJ45 combo ports support 100M and Gi-gabit Fiber transceiver for long distance transmission. The switch also supports Layer 2+ full management software features. These features are powerful to provide PoE Control, Network Control, Management, Monitor and Security features’ requests. 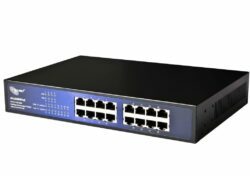 It is a superb choice to boost your network with better performance, efciency and high PoE power consumption. 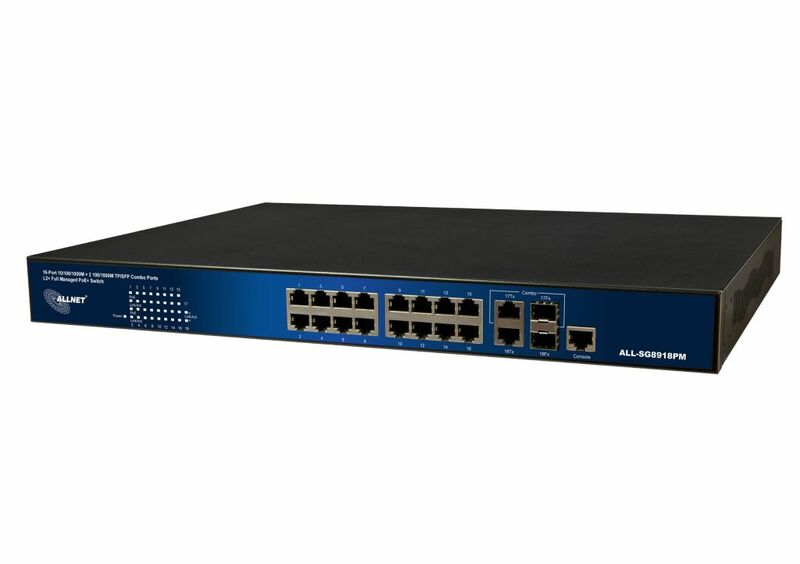 ALL-SG8918PM supports 2 Gigabit Copper/SFP Combo Ports to uplink to servers, storage, or other switching devices for long loop reach applications. The switch supports advanced security features. For switch management, there are secured HTTPS and SSH, the login pass-word, conguration packets are secured. The port binding allows to bind specic MAC address to the port, only the MAC has the privilege to access the network. 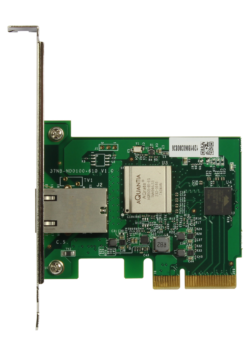 The 802.1X port based Access Control, every user should be authorized rst when they want to access the network. AAA is the short of the Authentication, Authorization and Accounting with RADIUS, TACAS+ server. Layer 2+ Access Control List allows user to dene the access privilege based on IP, MAC, Port number…etc. When this function is enabled, ALL-SG8918PM will detect a network PoE powered device (for example, an IP CAM) with a set of IP address periodically. If the switch doesn’t get any replies from the network PoE powered device, ALL-SG8918PM will do a power cycle (PoE power OFF, and PoE power ON) to the port that connects the network PoE powered device, allowing that device to reboot. You can set the frequency of detecting, number of times of detecting, and the time period to perform power cycle when there’s no reply via the switch’s PoE conguration web page. New: PoE 3rd Party API to turn PoE ON/OFF by Remote.